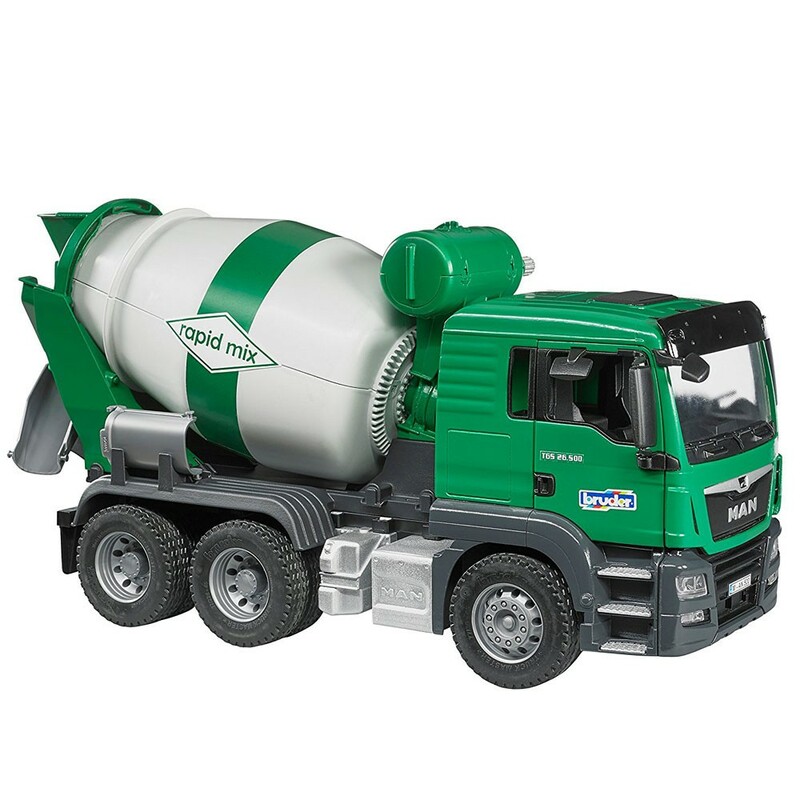 You can have your own super realistic modern Bruder MAN TGS Cement Mixer Truck for all your play construction sites' needs. 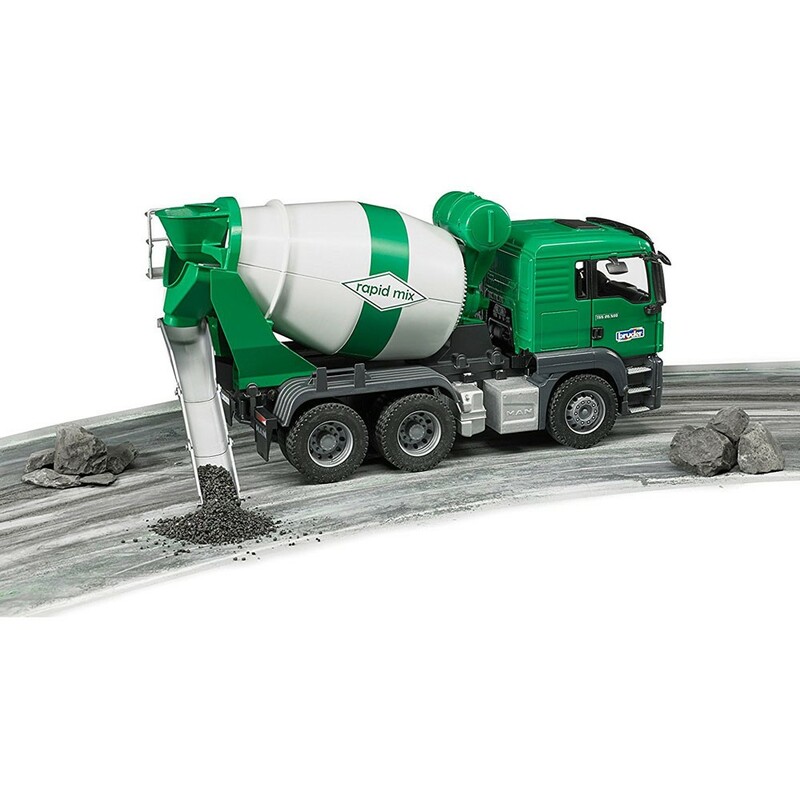 The newest Bruder cement mixer truck is your boy's dream gift! 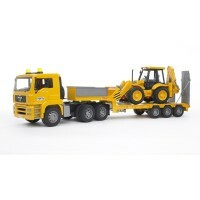 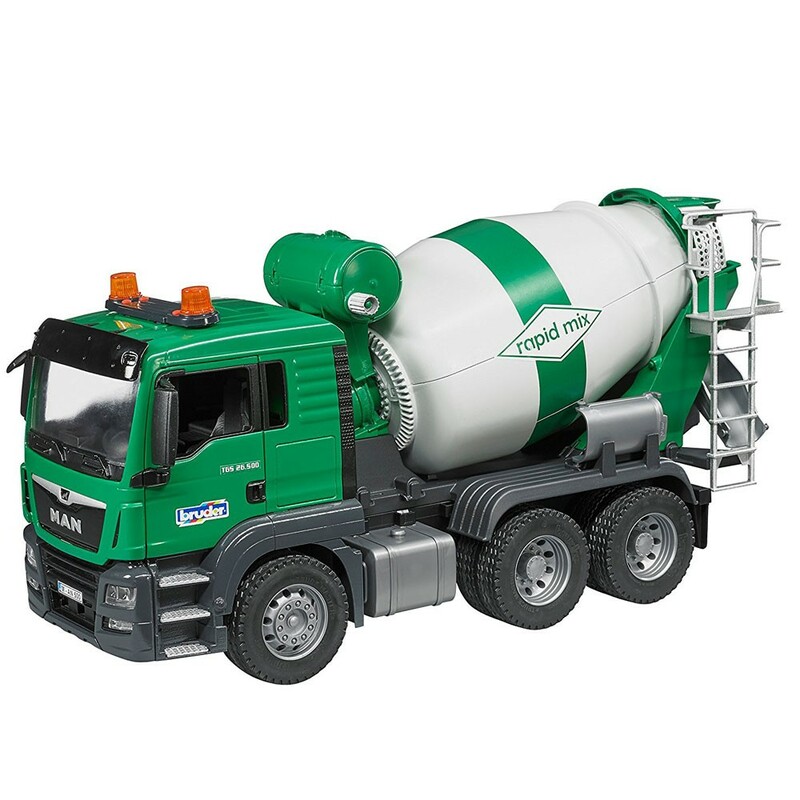 Everything about this Bruder toy cement truck is incredibly cool! 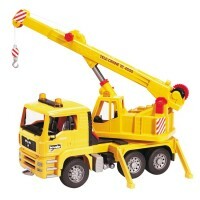 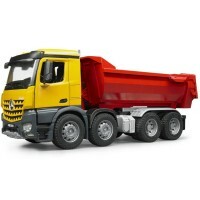 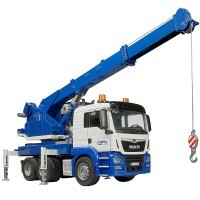 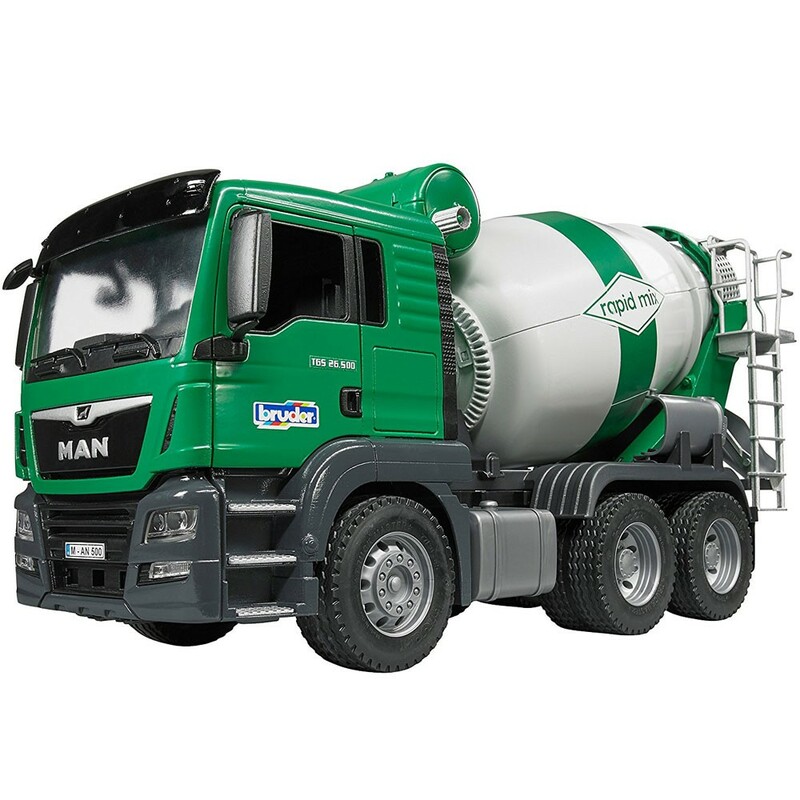 Bruder MAN TGS Cement Mixer Truck looks incredibly realistic and scaled 1:16 to the real vehicle. 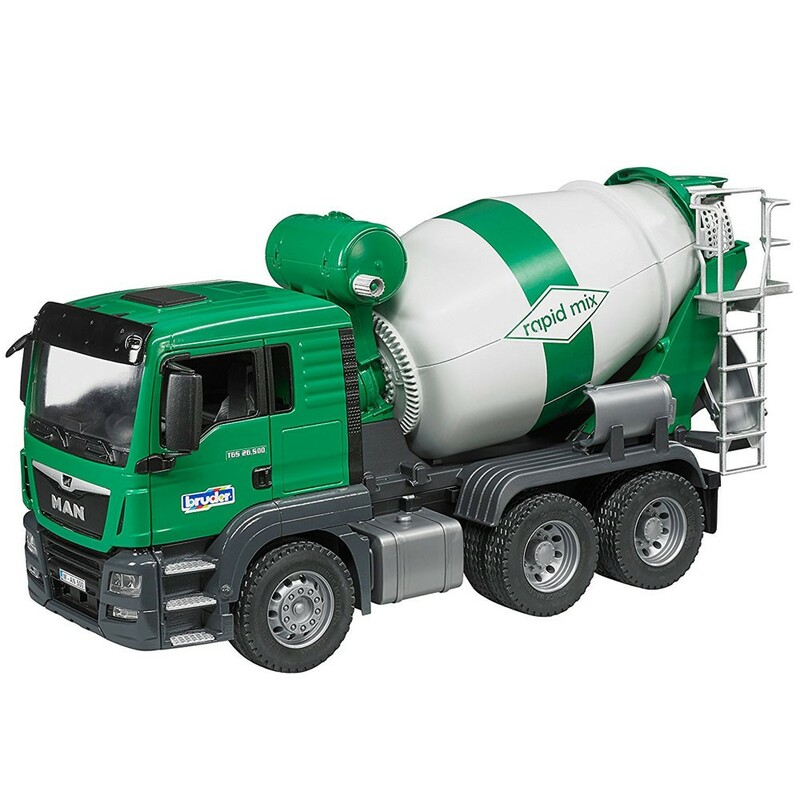 Manufacturer in Germany with the famous Bruder's craftsmanship and highest quality plastic and materials, this kids cement mixing truck brings tons of moving parts and functional features. 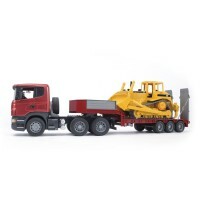 The dual mirrors of the driver's cab fold out and vehicle's water tank can be filled. 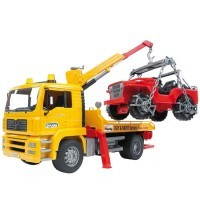 Turn the truck mixer drum using a hand crank installed on the water tank. 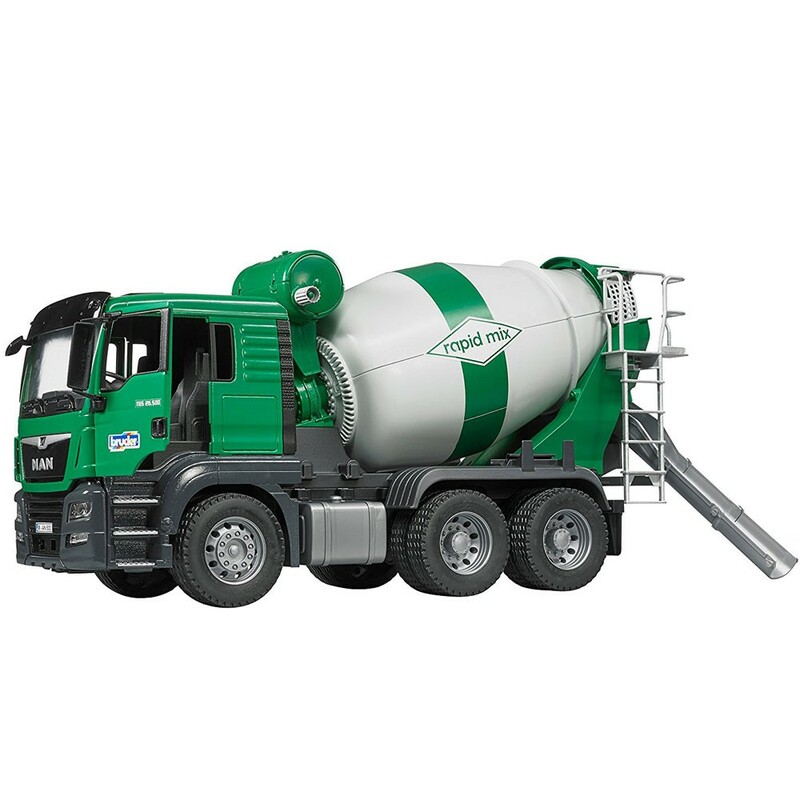 The drum features a spiral conveyor and mixer and, just like the original, the drum is emptied by reversing its direction of rotation. 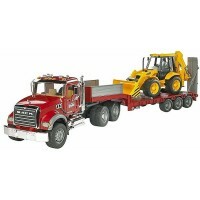 The spiral on the inside of the drum delivers the load to the discharge chute at the rear. 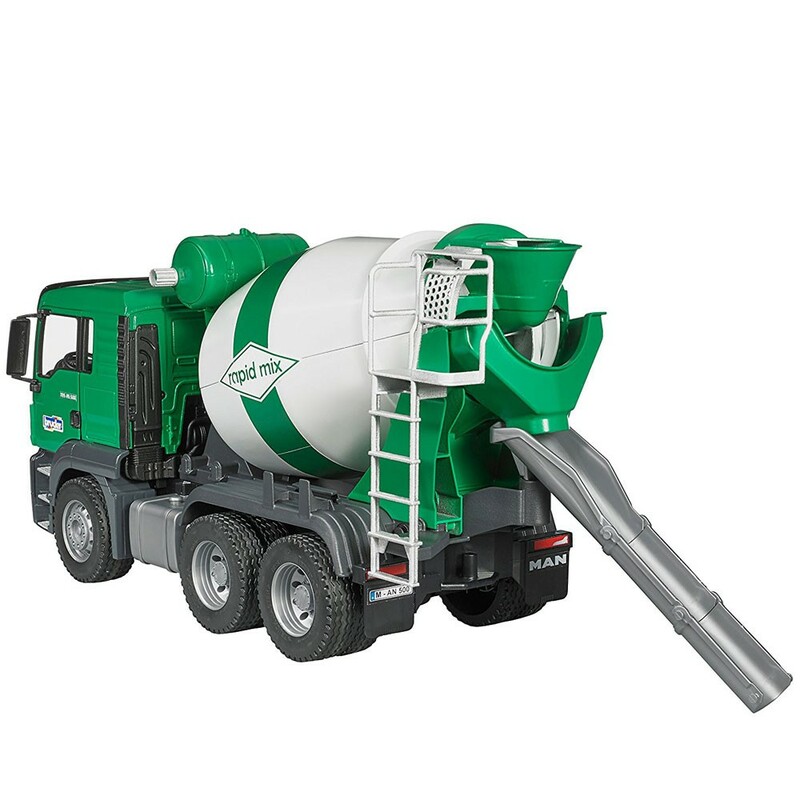 The play vehicle from Educational Toys Planet includes two plug-in drain chutes. 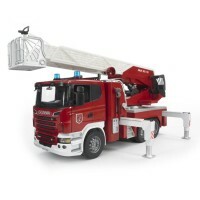 The cab is equipped with an interface to install the optional light & sound module (sold separately). Bruder cement mixer truck will make complete your play room construction site or classroom working play vehicles collection and definitely bring hours of pretend play to the children! 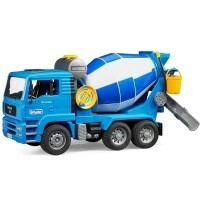 The toy cement mixer vehicle is 20 x 7.3 x 10.4 inches. 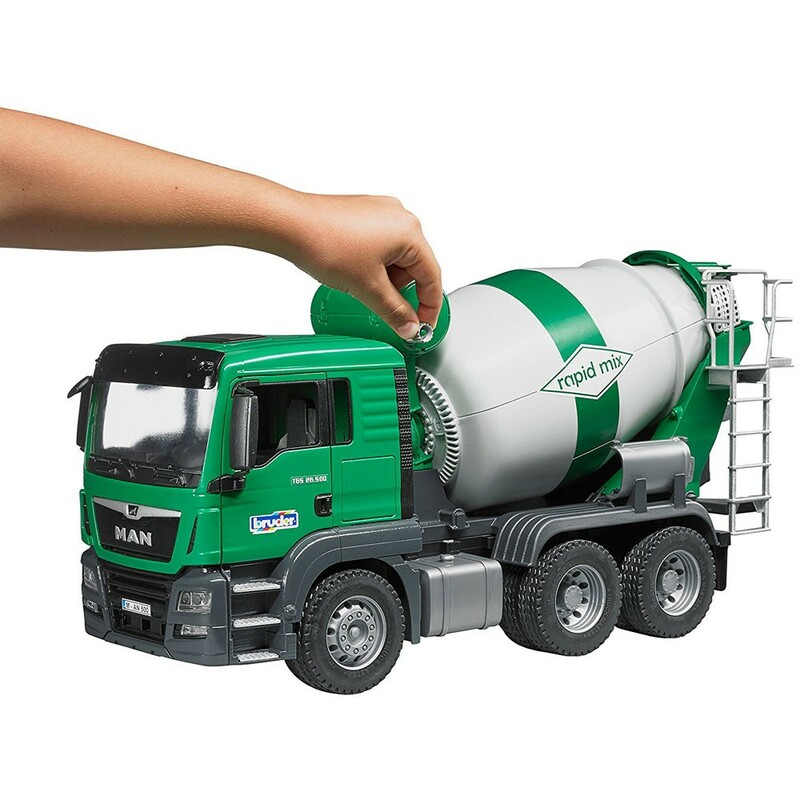 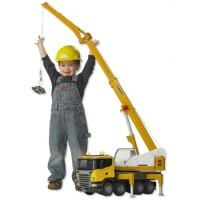 Dimensions of package 7.3" x 20" x 10.4"
Write your own review of Bruder MAN TGS Cement Mixer Truck.